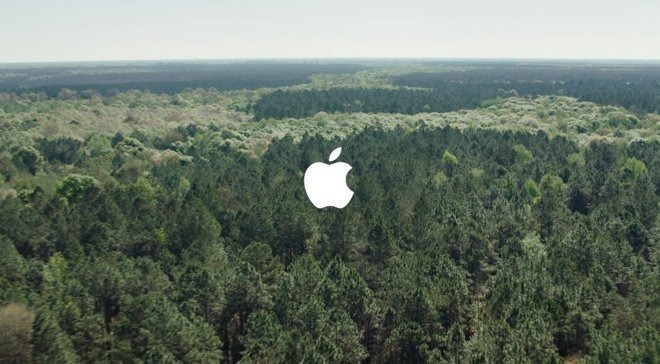 Following President Donald Trump's decision to withdraw America from the Paris climate accords, Apple and other major U.S. brands on Monday pledged support for an alternate environmental initiative called the "We Are Still In" campaign. According to a letter announcing the coalition, Recode reports U.S. firms including Apple, Amazon, eBay, Google and Microsoft are "joining forces for the first time to declare that we will continue to support climate action to meet the Paris Agreement." The group is being led by former New York Mayor Michael Bloomberg, the report said. An informational webpage explains 1,219 governors, mayors, businesses, investors, and colleges and universities from across the U.S. or with significant operations in the U.S. are counted among those participating in the effort. In addition to local leaders, 902 businesses, including 20 Fortune 500 companies, have signed onto the statement. In the public letter, the group says the Paris climate accords put America on track to transition to clean energy, which not only benefits the environment, but presents an opportunity for job growth and economic stability. In announcing his decision to pull out of the climate accords, Trump said the deal puts America at an economic disadvantage. Apple has in the past taken a strong stance on the environment. In light of Trump's recent decision, the company said it intends to adhere to policies designed to combat climate change. Last week, Apple CEO Tim Cook personally contacted Trump to persuade him not to renege on Obama administration promises, but the call was not enough. In a letter to employees, Cook said Apple would continue corporate efforts toward a sustainable future. Current initiatives include deploying and relying on renewable energy sources, recycling devices and investing in forestry projects. We, the undersigned mayors, governors, college and university leaders, investors and businesses, are joining forces for the first time to declare that we will continue to support climate action to meet the Paris Agreement. It is imperative that the world know that in the U.S., the actors that will provide the leadership necessary to meet our Paris commitment are found in city halls, state capitals, colleges and universities, investors and businesses. Together, we will remain actively engaged with the international community as part of the global effort to hold warming to well below 2C and to accelerate the transition to a clean energy economy that will benefit our security, prosperity, and health.